Now, let’s talk about bossa nova. I always found bossa nova fascinating because no matter chords or melody, it always sounds great. Bossa nova is a relaxed music, and, as a musician, you have to manage this « nonchalance » when performing, by trying to play it swaying and grooving. The piece I would like to study now is a composition of mine, especially written for PH, for diatonic or chromatic harmonica. 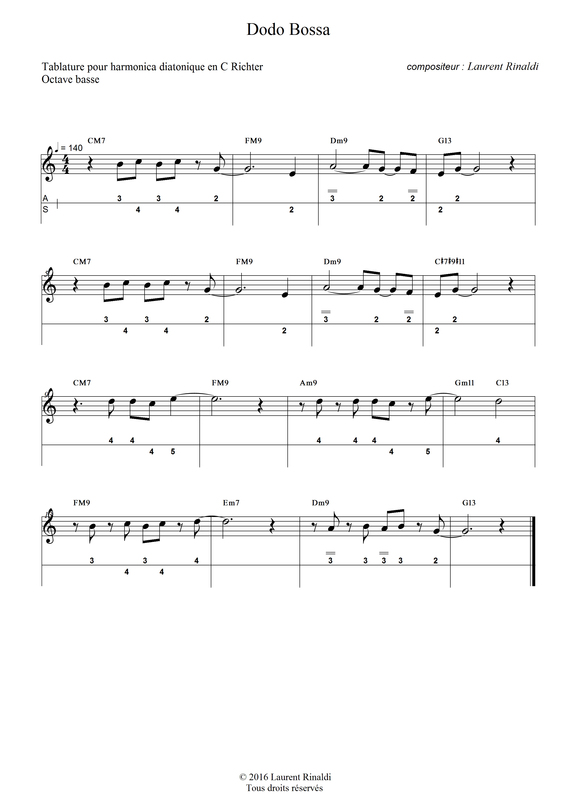 A very simple melody and very simple chords too. What really makes the difference is the way you manage rhythm and themes. 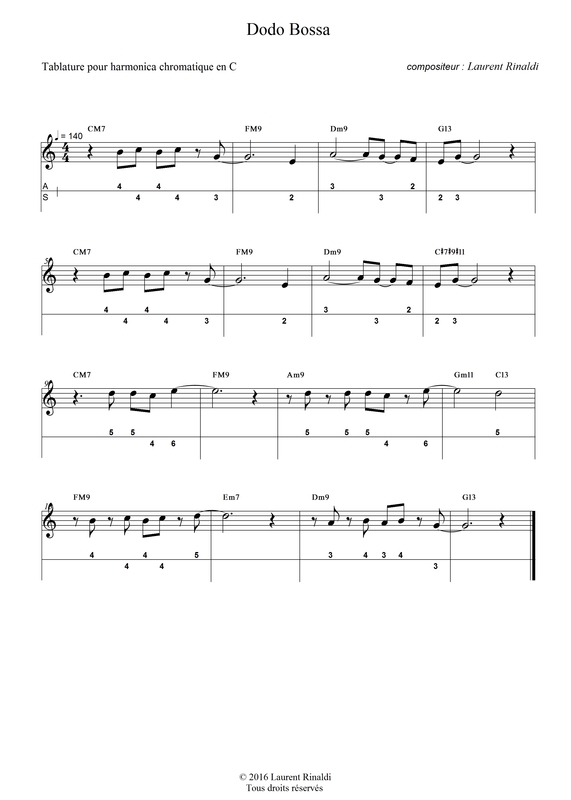 Listen carefully and see where notes are located on the rhythmic pattern. 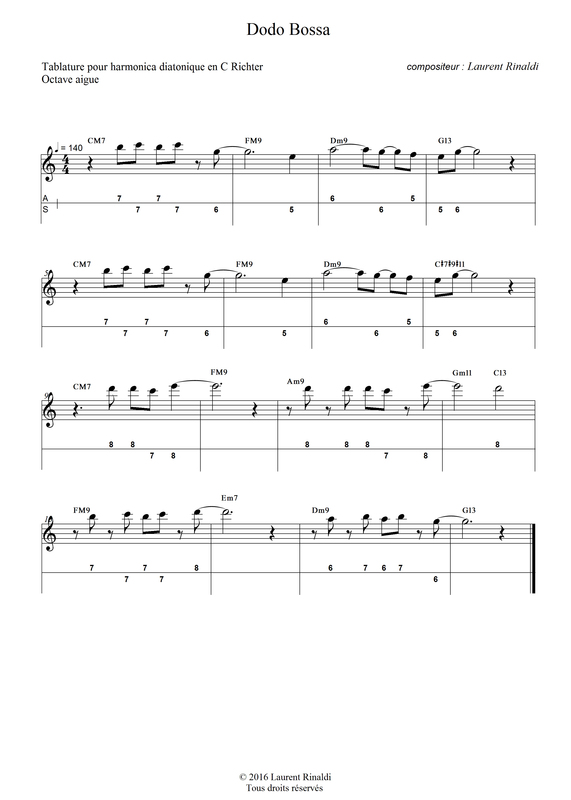 Dodo Bossa is made of two parts, A and B, played two times, then improvisation on the chord grid (which is played twice) and finally part A and part B, and then end. 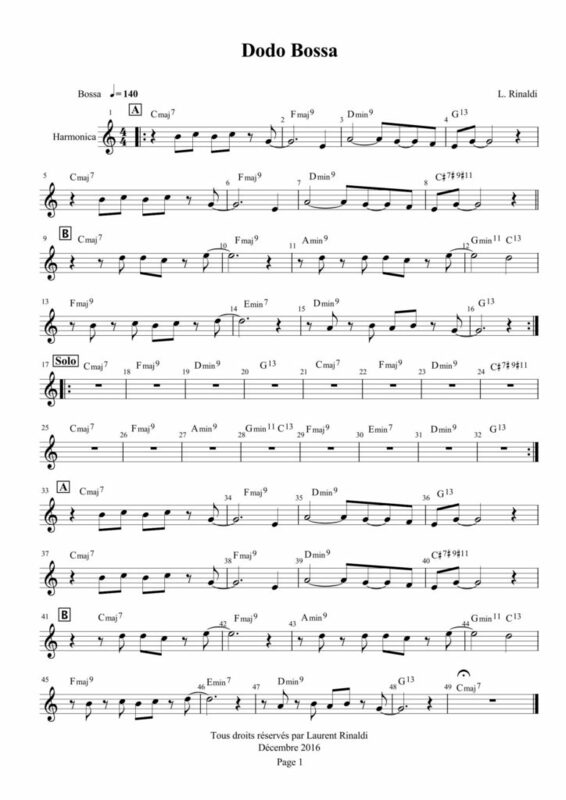 You can use the music score and tablature to memorize the notes you will play. Then, feel free to give free rein to your own imagination, by using the MP3 file as an example if you wish. Have fun, and please share your tracks !